Police have charged three people with theft after a dog was taken during an incident in Co Down. It is understood a woman reported her pet had been stolen in Kilkeel on Thursday, April 5. 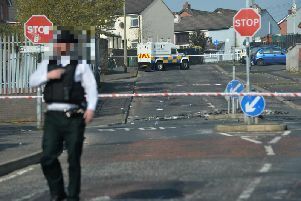 Detailing the incident, a PSNI spokesperson said: “A 49-year-old man and two women, aged 23 and 45, have been charged with theft. They are expected to appear before Newry Magistrates’ Court on Wednesday, May 2. “The charges are in connection with a report of a stolen dog around 8.50pm on Thursday, April 5.